The commercial drywall industry works with exacting demands and specifications to ensure quality outcomes for businesses all across the country. Beyond framing and installing drywall, your local professionals will can also provide the finish for a truly transformative outcome. In the construction industry, builders can choose from a range of finishes for their drywall installation services, leaving a result that perfectly meets the owner’s needs and future plans. You could, for example, put up a quick project with no finishing measures, or invest a lot of time and energy into creating a truly perfect surface for high-traffic areas. 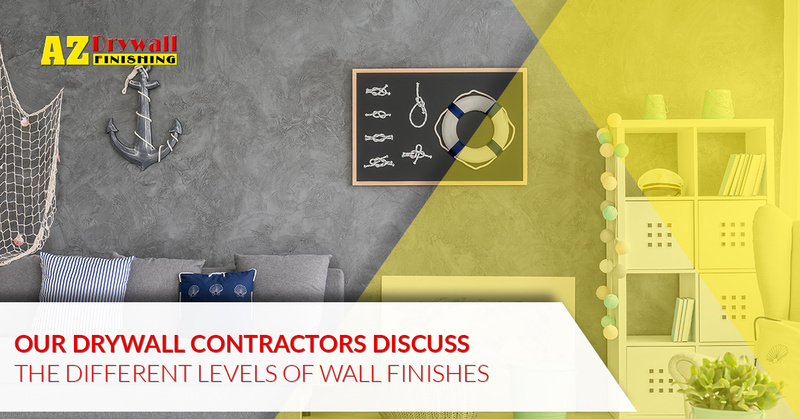 Your drywall finishers should have the ability to communicate with you effectively on all of your wallboard needs, working hard to deliver an exacting outcome. In order to find the right type of finish for their projects, many builders utilize a rating system that ranges from zero to six. Each classification provides considerable detail as to the type of finish needed. Everyone has to start somewhere, and your gypsum board will initially go up in this condition. Level 0 drywall finishes are unfinished, plain and simple. Your drywall contractors will be asked to erect and install the panel without any finishing services. Minus the tape, cement, or paint finishes, your commercial drywall will provide very few aesthetic benefits. Builders often utilize this level for temporary use in construction services, such as dust control. Aesthetically speaking, a blank wallboard will not do much for your structure. The Gypsum Association highlights a Level 2 drywall finish as the same as the basic services mentioned before, but taping is used to create a smooth result. You will still have the basic installation with compound and hardware, but now tape is utilized for smoother results. As an unfinished product, Level 1 provides decent protection and coverage without the cost of finishing services. At this stage, tool marks are allowed, we recommend moving up to the next level. Be sure to request this finish only in areas that are hidden from public view, such as services halls, hidden closets, plenums above ceilings, and more. This level is very similar to Level 1, except in that your taping services will be much more involved. All of your exposed joints and angles will be taped, but instead, the tape will be embedded in the topping compound. This service is more advantageous over being set with a joint knife, which leaves a thin covering for future service. Level 2 covers your bolts with compound as well, helping to create a better finish. This service still leaves your gypsum boards unfinished, and tool marks are still acceptable in the final result. Those looking for structural performance without the cost of aesthetics can commission this service for warehouses, shops, storage structures, garages, and more. Builders in need of a quality finish that paves the way for heavier wall coverings or thicker textures can benefit from a Level 3 finish. Your tape will still be embedded in compound, with an additional layer over the surface to cover your wallboard and fasteners. Your drywall finishers will work to provide to provide a smooth, relatively pristine surface for priming purposes. Level 3 results in smoother surfaces, but keep in mind that this level is often reserved for areas where marks and scuffs can be hidden by heavier textures and paints. This finish is commonly used in businesses nationwide, delivering a quality finish that is similar to Level 3, except you now have two extra coats. All fasteners, beads, and other elements will receive their third extra coat, leaving the surface smooth and clean.The board will be free of any marks or damages, and primer is added after taping services. Level 4 finishes are ideally suited for flat paints and lighter textures, providing cleaner results that are sure to affect the room’s visual quality. Finally, you can rely on this level for the smoothest and cleanest surfaces. This service features a skim coat over the surface to provide a completely smooth outcome before priming. Skim coats help to hide imperfections, concealing joints in the process. You’re left with a flat outcome that is ready for use in high-traffic areas. Level 5 drywall finishing creates a quality surface for enamel, gloss, semi-gloss, and other light paints that may come under close scrutiny. 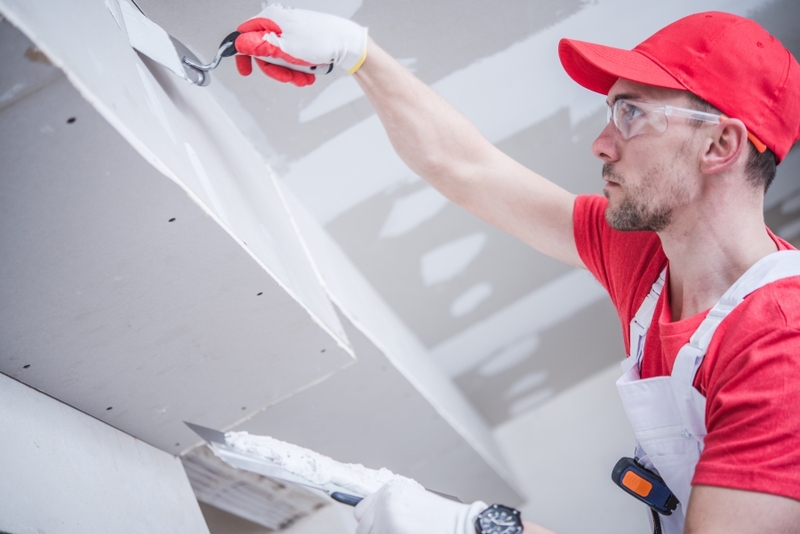 Regardless of your construction demands, it pays to find a commercial drywall company with the skills and equipment needed to get the job done. AZ Drywall Finishing is here to be your trusted drywall contractors in Chicago, delivering comprehensive support through each phase of your project. We are trained, insured, and ready to get to work on your project. Contact us today to learn more about our drywall finishing services!